The accident occurred whilst Mr R was working as an operating department practitioner (ODP) at the Spire Tunbridge Wells Hospital in Kent. His role involved providing care and support for patients undergoing surgery during the anaesthetic, surgical and recovery stages of a procedure. On the day of the accident, Mr R was in the anaesthetic room. He opened a drawer which contained respiratory equipment. As he opened it, suddenly and without warning, the metal strip which lined the upper rim of the drawer became loose and sprung towards his face. The metal strip measured approximately 1cm x 30cm and struck his left eye. He suffered a corneal abrasion which healed poorly. He developed recurrent corneal abrasion syndrome. He was in severe pain for five days and unable to open either eye. He was required to sit in a dark room and rest his eye for about three weeks before he returned to work. Throughout this period, the vision in his right eye was blurred and his eye watered. Since then, Mr R has suffered about five further corneal epithelial erosions. The scar tissue on the cornea can stick to his eyelid and, when opening his eye, the surface of the eye can be ripped off. Mr R’s eye often ached towards the end of a work shift because he worked in such a sterile and very bright operating environment. Mr R was particularly concerned about the injury to the left eye, as it had previously been his “good eye” as he had significant myopia in his right eye. Oliver Chapman was instructed by Mr R and obtained a prompt admission of liability from Mr R’s employers. During the course of his treatment, Mr R had been treated by three separate ophthalmic surgeons who had all treated his condition conservatively. We obtained a report from an independent opthalmologist who suggested two surgical procedures which he thought would have a high probability of resolving the condition. The defendant paid £4,500 in interim damages to fund the potential treatment. However, upon consulting a fifth ophthalmic surgeon, Mr R was advised to continue with conservative management of his condition. A punctual plug was inserted into his tear duct which, along with regular eye drops, helped to keep his eye moist and improved his condition. The case settled for the sum of £50,000, to compensate Mr R for his pain and suffering and for any future care needs he may have. 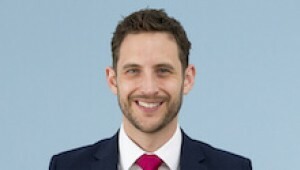 Oliver Chapman specialises in accidents at work as well as ophthalmic cases. If you would like to ask Oliver a question about a potential case, or if you have a general query about any personal injury, contact Oliver at Thomson Snell & Passmore LLP solicitors on 01892 701234 in confidence.